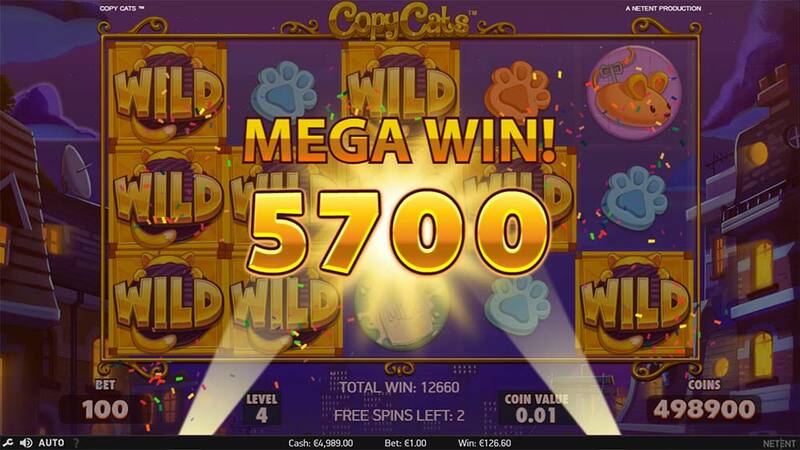 Play the New Copy Cats Slot from NetEnt Early! 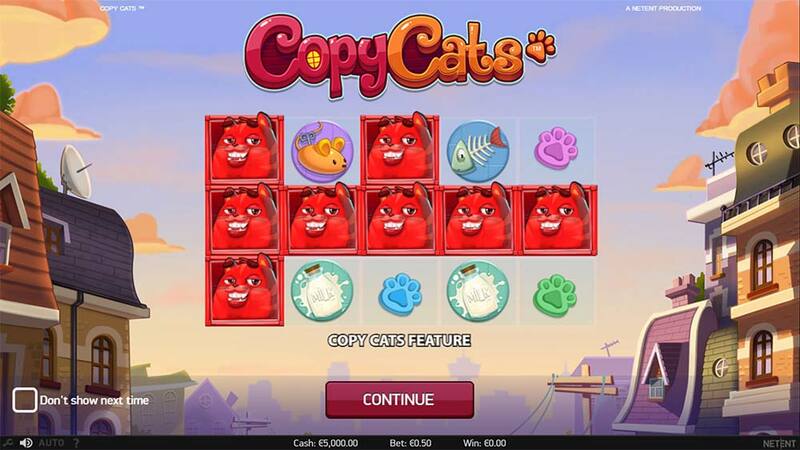 Copy Cats Slot is a brand new slot machine game from NetEnt scheduled for release on the 23rd of May 2017, the good news is that a few select casinos a few select casinos such as Thrills Casino and Kaboo Casino already have this slot live and playable before it’s official release date next week. 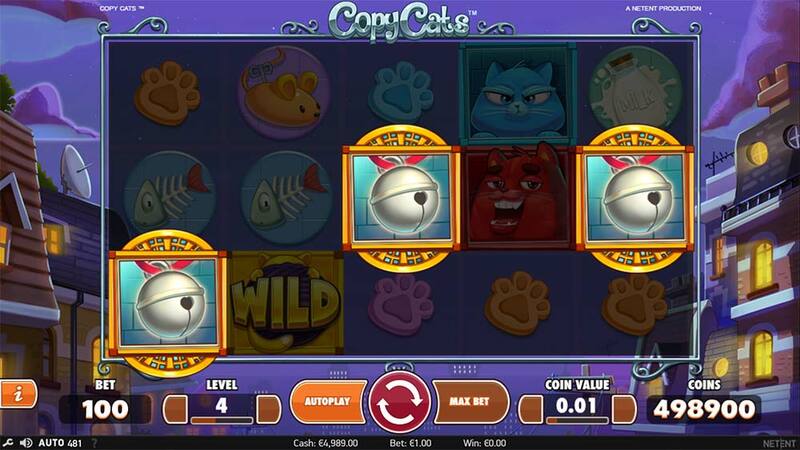 Copy Cats is a regular 5×3 reel slot with 25 fixed paylines, set in cartoon theme there are 4 different cats that make up the highest paying symbols on the reels, the red, blue, pink and special wild cat symbols. The main mechanic to this slot as you might expect is a copying feature which occurs when a full reel of matching symbols lands fully on the first reel, when this occurs any other cats on the remaining reels are then copied to match this specific symbol. 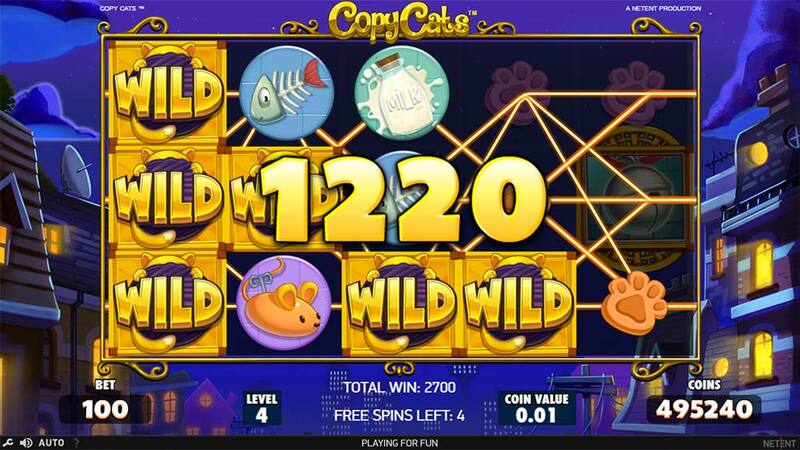 On top of this nice feature there is also a free spin bonus round on offer with the same mechanic in place but with only the special wild cat symbols on reel 1 during the free spins, so basically everytime this lands you will get every cat turned into wilds. 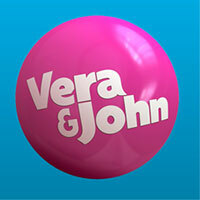 Check out the promotional video below to see all of these main features in action. 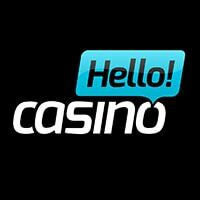 The main bonus round is triggered by landing 3 scatters on reels 1, 3 and 5 which grants an initial 10 free spins for the bonus round. 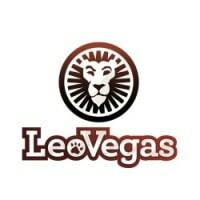 The main difference during the free spins is that reel 1 only contains the special wild version of the cat symbols and the regular low paying symbols, the copy cat feature is still active and will replace any other cat symbols with wild symbols when it lands to completely fill the first reel. 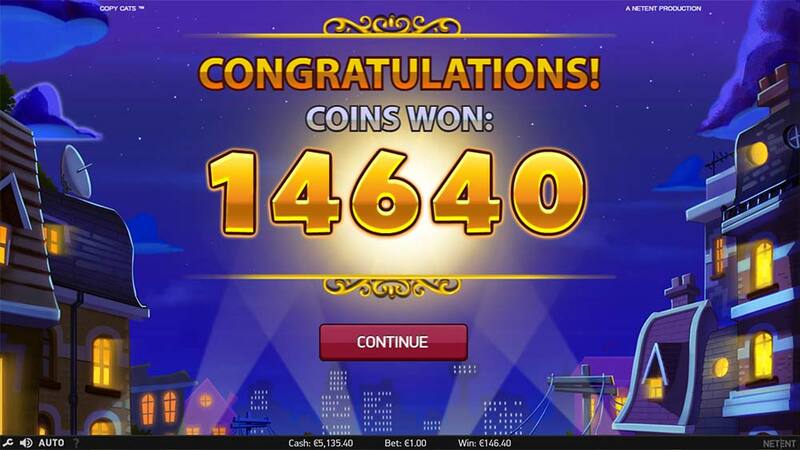 It’s also worth noting that can you re-trigger the free spins by landing 3 scatters and this is rewarded with 10 extra free spins, and during our playtests the re-triggers did seem quite common on a small sample size. 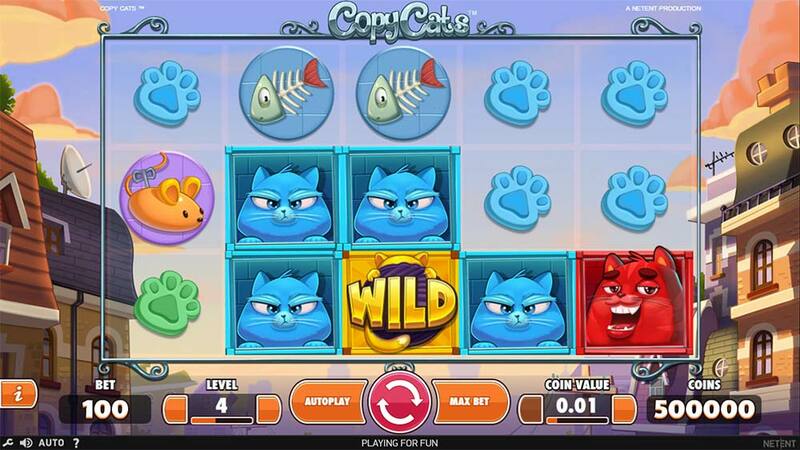 Copy Cats is a visually pleasing slot from NetEnt with a nice animated cartoon theme, the base game and free spins are quite interesting with some nice wins possible when the copy cats feature activates with several other cats on the reels. In our playtests the bonus rounds triggered quite regularly and generally ended in the 25x to 150x range making this a fairly solid low-medium variance slot with some interesting mechanics. It probably won’t replace your favourite go to slots but is worth a play if you prefer the lower/medium variance slots from NetEnt.